The WSF Men’s World Team Championship kicks off today in Marseille. Here are 20 facts you might not know about the MWT tournament, compiled by stats guru Howard Harding of SquashInfo.com. 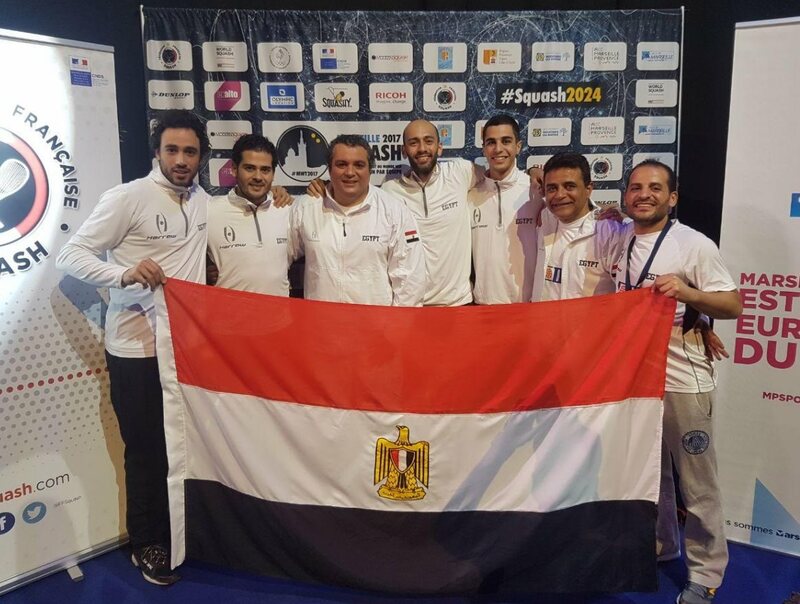 1: Egypt are favourites to reclaim the MWT title, with three players who have never played in the event before! 2: 45-year-old Rodney Durbach, South Africa’s most capped player, is making his ninth MWT appearance 22 years after his debut in 1995. He is the oldest player in the 2017 event and probably the event’s oldest competitor ever! 3: France are bidding to become the first hosts to win the title since Australia in 2001! 4: French No.1 Gregory Gaultier has won 31 of the 40 championship matches he has played in eight successive events since 1999! 5: Only Australia, New Zealand and England (under the ‘Great Britain’ banner before 1981) have played in all 24 events since the inaugural championship 50 years ago in 1967! 6: Title-holders England have never failed to reach at least the semi-finals in all 17 appearances since 1981! 7: Australia have won the title more than any other nation – their record 8th victory coming in 2003! 8: Hong Kong China are seeded to record their best ever finish in 5th place! 9: Jamaica and Iraq are making their MWT debuts! 10: Finn Olli Tuominen is celebrating his 9th successive appearance in the championships since 1999 – and his 1st match in Marseille will mark his 50th in the event! 11: With only one squad member ranked within the world’s top 150, 6-times champions Pakistan are seeded to finish outside the top 16 for only the 2nd time ever! 12: Egypt’s Ramy Ashour is unbeaten in his three appearances in the championship from 2009-2013. 13: Led by ‘Superman’ Paul Coll, sixth seeds New Zealand are expected to achieve their best finish since 1993! 14: James Willstrop and Nick Matthew competed in three of England’s five championship-winning teams! 15: The 19-year-old Swiss No.4 Roman Allinckx is the youngest player competing in Marseille! 16: The 12th seeds Spain are predicted to reach their best finish ever in their 13th appearance since 1985! 17: Despite Adrian Waller being an event debutant, England boasts a squad with more player appearances in the event (14) than any other! 18: Finns Jami Äijänen & Miko Äijänen are the only brothers competing at MWT 2017! 19: Twice bronze medallists South Africa are competing in Marseille with only one player who has a current PSA world ranking! 20: Austrian No.4 Lukas Windischberger is the World No.1 Racketlon player! Unusual for you to get your facts wrong Howard !! England are the defending champions NOT Egypt . Morning Hedley. Blame the flu-stricken headline writer, not Howard!